Wrestling with facts in fiction… long and hard. 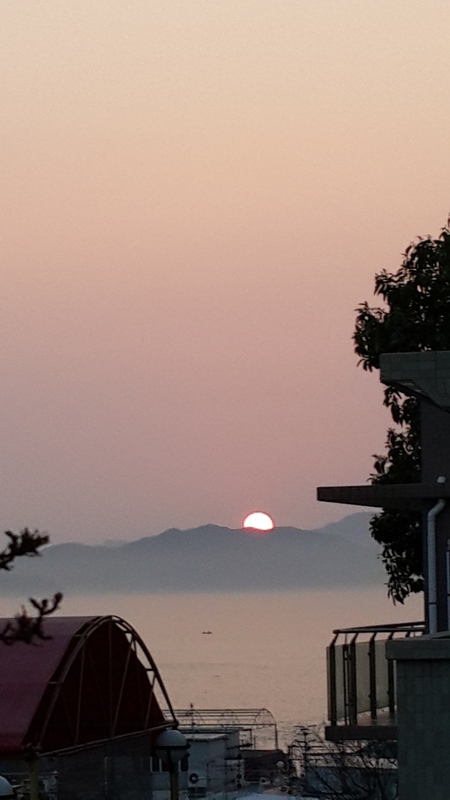 Sunset on Lamma. A long day’s work. Little progress. Traditional electricity generating power plants burn fossil or nuclear fuels and are massive chunks of infrastructure that take years or decades (in the case of nuclear plants) to build, cost billions of dollars, and then are in place to produce power for 50 years or more. They are gigantic investments in building and capital that cannot be lightly dismissed or shut down (i.e. we are locked-in to this technology for several decades). The people who control these massive infrastructures are rich and powerful and have often worked very hard to bring these projects to fruition. They (and their company’s shareholders) are, very understandably, not easily persuaded that their life’s work belongs to a changing (and soon to be outdated) paradigm; that of large, centrally controlled power plants, burning fossil fuels to provide reliable electricity for all in the neighbourhood. Instead, the growth of renewable technologies, especially wind and PV solar, means that you and I can conceivably have backyard or rooftop systems that can provide all the electricity we consume. Right now, these systems are unaffordable to most of us because the homes we live in were designed in an era of low-cost energy and take little advantage of passive design to minimise energy use. So at the moment, established wisdom and societal inertia still favour the old paradigm. The economics of renewables vary wildly depending on government regulations in different countries around the world. Mark Jacobson is professor of civil and environmental engineering at Stanford University and has spent the last 20+ years developing computer models of different energy technologies and their effects on emissions, air pollution and climate. Based on his extensive modelling work and studies, he says that wind, water and solar power (WWS) can be scaled up in cost-effective ways to meet our energy demand; in his words, a “smart mix” of of renewable sources can do the job. Because the wind blows during stormy conditions when the sun does not shine and the sun often shines on calm days with little wind, combining wind and solar can go a long way toward meeting demand, especially when geothermal provides a steady base and hydroelectric can be called on to fill in the gaps (Scientific American, 2010). In 2010, Jacobson and co-author Mark deLucchi postulated in 2 articles, published in the journal Energy Policy, that the world of 2030 could be powered by renewables alone. A daunting task, but here’s why it could be done. In May 1961, the president of a nation announces that his country will put a man on the moon by the end of the decade. Despite doubts that this can be done, both civil society and all branches of government align together to achieve the goal, just 8 years and 2 months after the announcement. The key to this achievement was alignment, unthinkable in today’s US, polarised as it is between two mutually antagonistic parties. Similarly, the WWS global energy strategy proposed by Jacobson is doable, provided there is sufficient alignment between nations that these goals are desirable and doable. Another stumbling block in the path of international alignment are the corporations (and the powerful people who run them) that are locked-in to fossil fuel technologies mentioned in the first paragraph above. Jerome Dangerman is a thoughtful Dutchman who has worked in energy companies and academia, and has studied the problem of technological lock-in. He suggests a way out of the impasse lies in making shareholders pay for environmental damage. With such measures, investments will flow towards companies that produce energy sustainably. A recent study by Jacobson et al. also point to another, remarkable benefit of renewables. Large arrays of offshore wind turbines could significantly reduce storm surges and weaken hurricane damage to the extent that the billions of dollars of damage avoided are themselves a powerful economic argument for putting up these electricity generators, not counting the value of the electricity they produce. References: Jacobson, Mark Z.; Delucchi, M.A. (November 2009).“A Path to Sustainable Energy by 2030” (PDF).Scientific American 301 (5): 58–65. Mark Z. Jacobson and Mark A. Delucchi (30 December 2010). “Providing all global energy with wind, water, and solar power, Part I: Technologies, energy resources, quantities and areas of infrastructure, and materials”. Energy Policy.